Download high quality vectors for $1 only. Yes, it’s unbelievable but absolutely true. Vectors offer an unbelievable level of flexibility to the Designers as it can be edited to fit any composition or dimension. You can choose to remove unwanted elements, or alter them to suit your artwork. And since Vectors require more effort, creativity and time to create than photographs, they are apparently priced more than photographs on stock websites. So sometimes when we needed a Vector graphic for our artwork, we had to settle for the raster one as it seemed inexpensive, but not anymore. 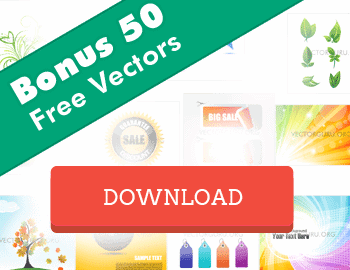 You can download the best of Vectors for just $1.00. 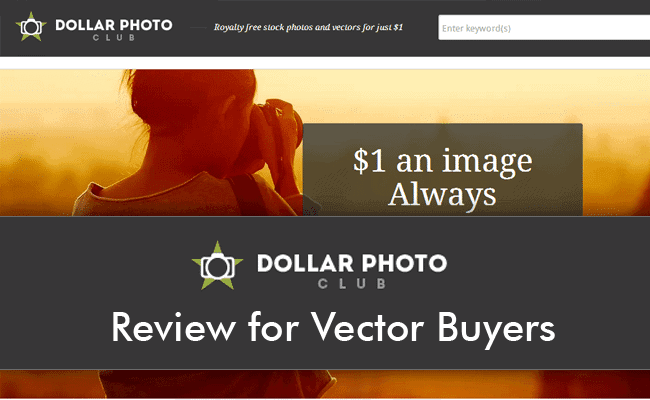 In our Dollar Photo Club review we are going to go through every aspect of this stock website which offers Vectors for such a low price and discuss its pros and cons in detail. In the Dollar Photo Club review we are also going to check through the different payment plans and license options this website has in store. This Dollar Photo Club review for Vector Buyers will help you evaluate this stock website for your future project needs. Website can be accessed in 13 different languages besides English, such as Spanish, Italian, Brazilian, Swedish, Dutch, Korean, Japanese, Turkish, Russian, Polish, French, Czech, Slovak. Simple and easy to understand licensing and purchase plans as compared to most stock websites. An easy interface with all the necessary search options offered. Dollar Photo Club does not offer Credit and Subscription plans or they prefer not to call it that. They offer a Monthly and an Annual VIP Membership. In both plans, the price for Vectors and Images remains $1. Once you’re above your limit, you can still purchase additional images for $1. Dollar Photo Club does not have any hidden fees and does not require any commitment. Both plans offer unused downloads to be transferred to the next month or year. The Monthly and the Yearly membership also offer the same Business Ready – royalty free license. Though most terms are similar in both the plans, there are some differences which you should be aware of. 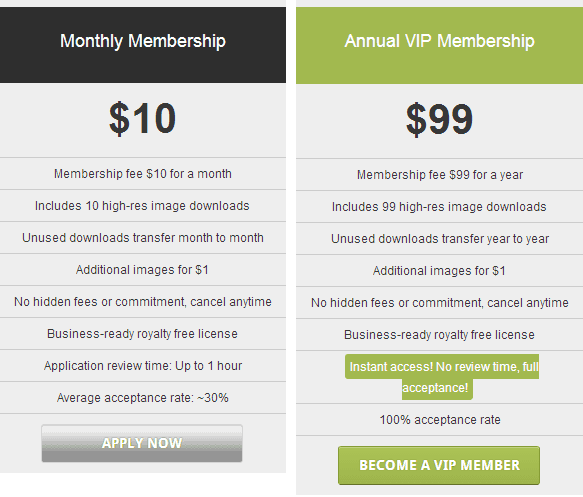 Differences in Monthly and Annual VIP membership. The membership fee is $10 a month with 10 downloads. You have to apply for the a monthly membership by filling in an application form and it may take upto an hour to be reviewed by Dollar Photo Club. This membership also has a low application rate of 30% only. The membership fee is $99 for a year with 99 downloads. Unlike the Monthly Membership plan you can instantly access your account as there is no review time. The acceptance rate for the Annual VIP membership is 100%. Like most aspects of Dollar Photo Club, the license options are simplified for you. A royalty free license which is offered with the membership plans, lets you use the Vectors and photos in upto 5,00,000 print runs. This license does not permit you to use the stock images in merchandise article for resale. The Extended license which is priced at a flat price of $50 per image allows you to use the images in merchandise and for unlimited print runs. All images and Vectors for the same low price of $1. All images are high res. Since Dollar Photo Club features stock collection from Fotolia, we can be assured of the quality of Vectors and images. The unused downloads are transferred to the next month or year, and not a single dollar is wasted. With all the wonderful facets of Dollar Photo Club, it’s difficult to pin down any disadvantage except these. For the Monthly Membership, the user has to go through an application process which may take an hour to review. It also has low acceptance rate of 30%. We think this scheme may leave many buyers disappointed and a lot of valuable time could be lost in the process too. Besides the basic keyword search tab at the top, users can also refine their search with options offered in the sidebar. Like most stock websites, you can filter the search results to display recent, relevant, popular, images with most downloads and even undiscovered ones. You can select between different orientation types such as horizontal, vertical, square and panoramic views too. There is also an option where you can choose to have people in the images. The color search option lets you choose Vectors and images in the color you specify. Too make your search effortless, just 10 broad categories are listed. The Dollar Photo Club offers what most stock buyers look for in a stock agency. It’s a complete win win situation for Vector buyers as $1 for Vectors is an unmatched price in the industry. Buyers who require high res images can’t find a better deal elsewhere. Simple and clear licensing terms helps the user buy images and Vectors more confidently. With advance search options the buyers can quickly narrow down the search to find their ideal images or vectors. 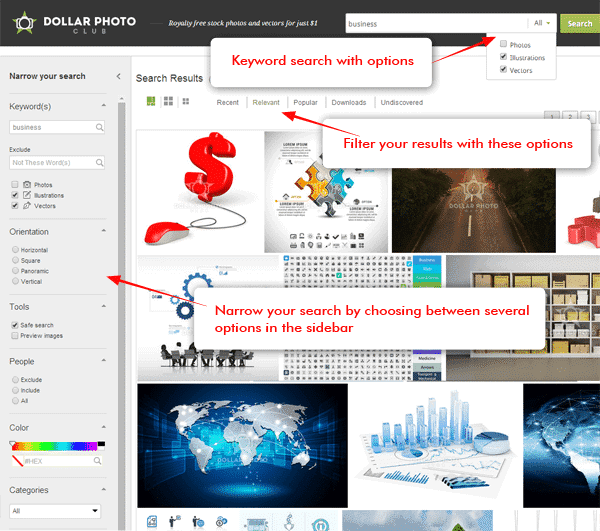 In our Dollar Photo Club review, we have explored several aspects of this stock website and it truly emerges as a winner. It has all the qualities that could make your stock vector and image buying experience a pleasant one. So as a Vector buyer you definitely wouldn’t miss this opportunity, would you? Though Vectors for $1 is tempting enough, Vectorguru brings you 10 free additional images on the $99 VIP Membership at Dollar Photo Club. SPECIAL OFFER – Signup free now! Hurry, this offer lasts until 30th September. Also checkout this awesome Dollar Photo Club video. I’m sure through this review you have discovered much about Dollar Photo Club and maybe you’re making the most of the exclusive offer we have for you as well. Subscribe to our newsletter for more reviews and exclusive offers. Where Can I Buy Stock Vectors?